I think I’m a full fledged gloss girl now. It’s just been too dry for most of my matte liquid lipsticks, and I’ve really been liking the look of a juicy lip. 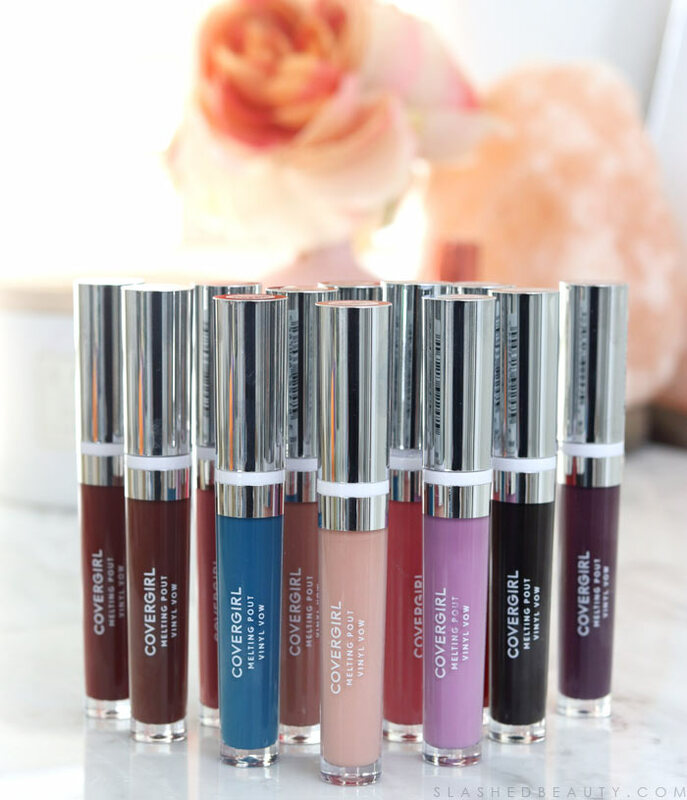 I never used to be a fan of lipgloss, but the formulas have gotten so much better over the years with less stickiness and more hydration and shine. 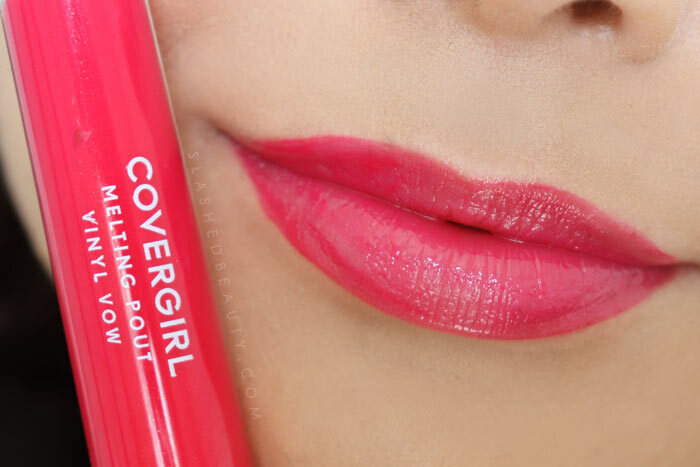 A new gloss just dropped at the drugstore that I’m loving: the Covergirl Melting Pout Vinyl Vow. This is an extension of the Melting Pout line that includes the Melting Pout Mattes I reviewed last year. This new formula touts a “vinyl” high-shine finish with full coverage color and offers a hydrating feel for up to 24 hours. There are twelve shades in the range from neutral to super bold. 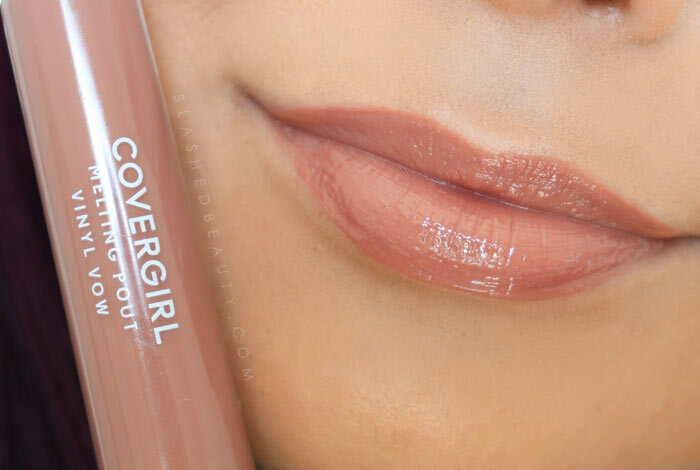 Especially as I’ve been wearing lighter makeup, this type of gloss has been exactly what I’ve been looking for. The sponge applicator has a tapered point and flat edges which help with precision application. This is super important considering how pigmented these shades are! 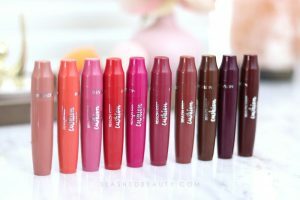 In my opinion, most of these aren’t lipglosses that you can just slap on and smack together. Let’s take a look at the shades! 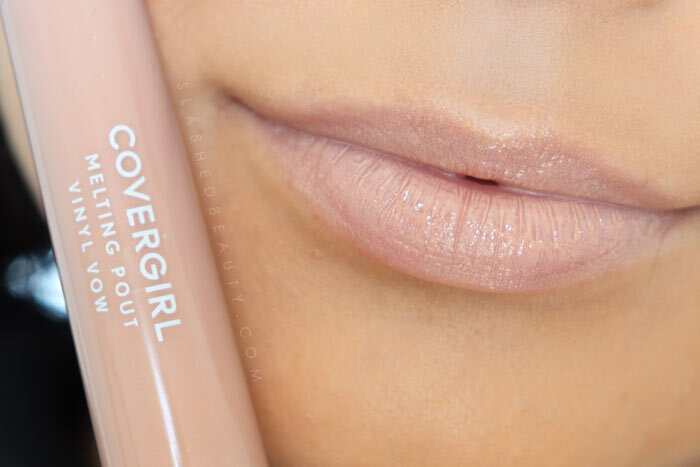 Nudist’s Dream is a very light and cool beige that isn’t quite my fave shade in the bunch. I just don’t think it’s flattering on my skin tone. Toasted is a gorgeous neutral nutty shade that looks very natural and applies evenly. Kiss Kiss is pretty much the star of the show here. This neutral medium pink goes on almost completely opaque with even color and beautiful shine. Caught Up is a slightly brighter pink, another one that glides on without any patchiness. 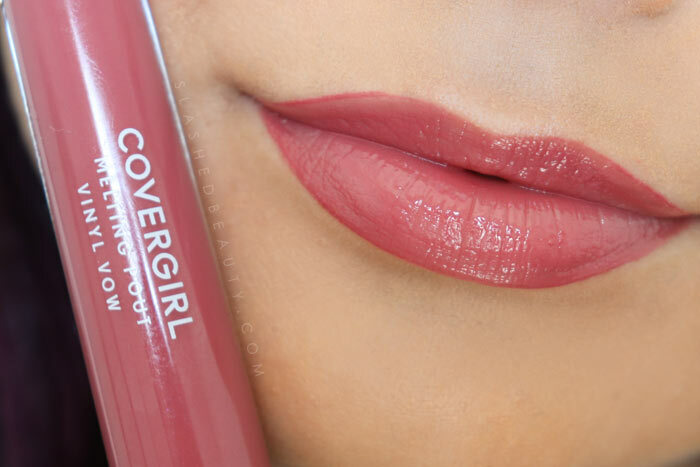 Talk about a statement gloss! Vibrant Thing is just that— a vibrant, almost neon pink. 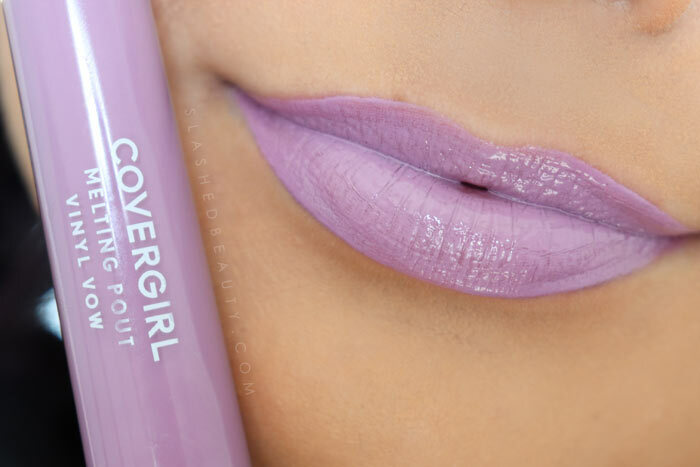 Ya’ll know I love my purple, and I’ve always been a fan of lavender lips. So Lucky really pops off the skin, but it was a bit of a struggle to get to apply without streaks. 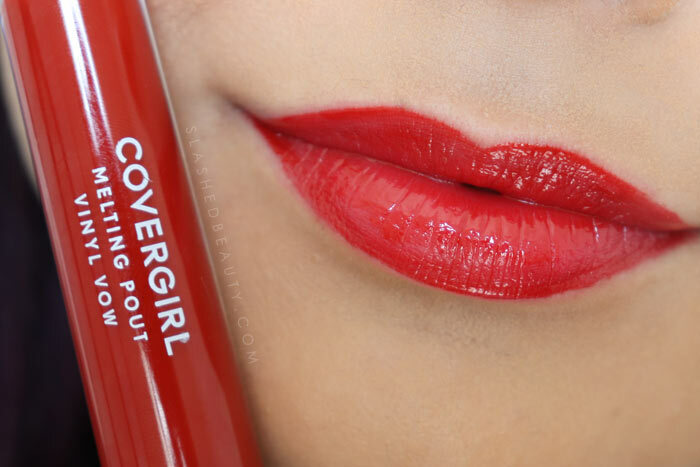 This is the perfect red lipgloss. Keep It Going is a blue based red that will flatter many skin tones. Get Into It is berry wine shade that is a bit translucent but doesn’t lack color! 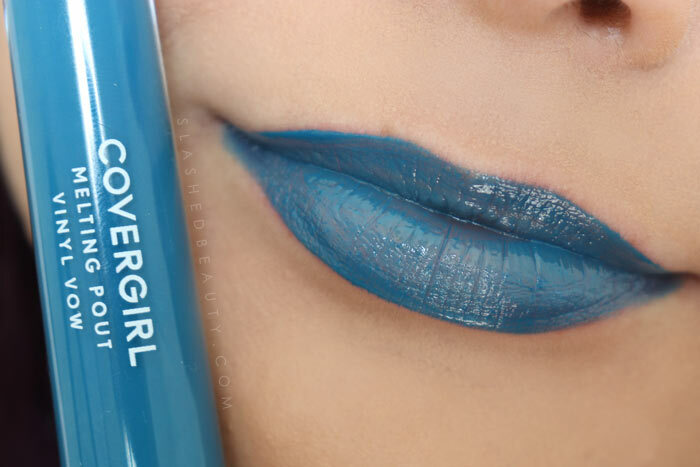 Another super bold shade, Below Deck is a pop of blue that you don’t often see in lipgloss lines. Unfortunately this was another one that was difficult to apply evenly. 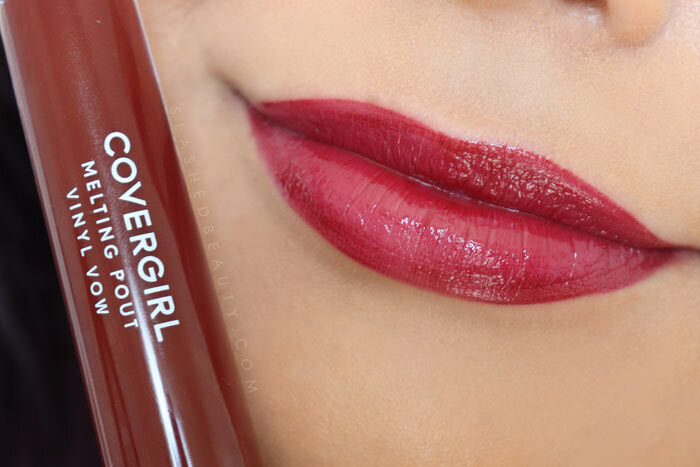 Own It is a reddish-brown that would look great on deeper skin tones with pigmented lips. 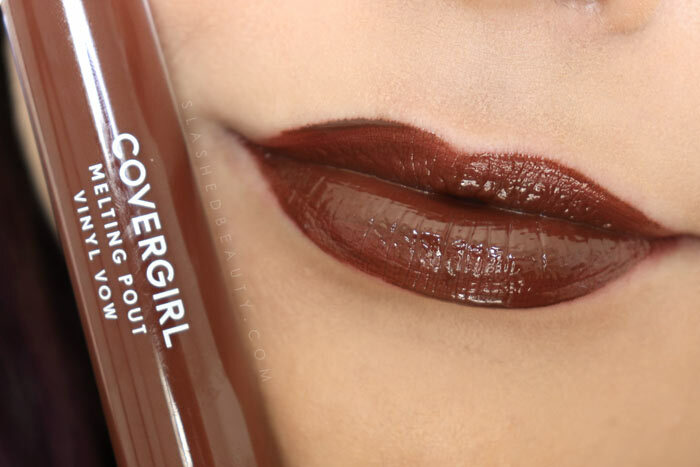 Hustle is a chocolate brown shade that seriously reminds me of a candy bar. The biggest disappointment of the bunch, Fall In Deep is a browny plum shade but I could not for the life of me get it to apply evenly. 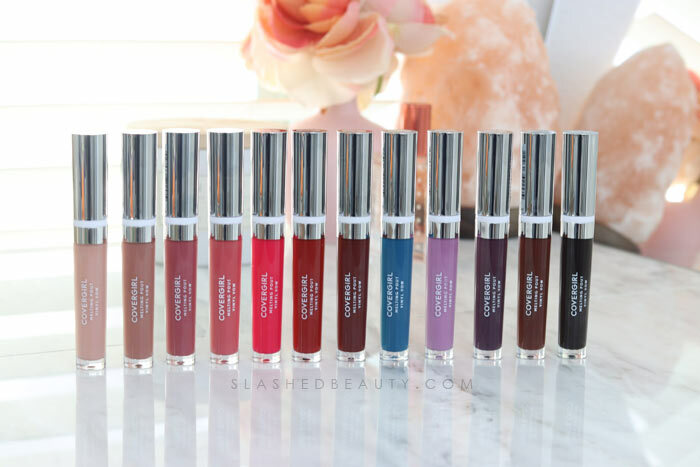 The Vinyl Vow glosses seem to have the same problem that I had with the Melting Pout Mattes: the most bold shades didn’t perform as well, and it was difficult to get them even and opaque. With that said, most of the lighter neutrals as well as the vibrant pinks and reds all went on smoothly without any issues. 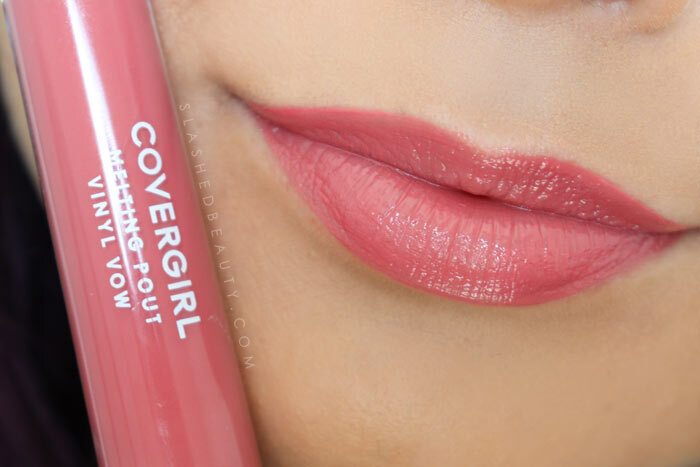 The formula feels great on the lips— very cushy though I’m not sure if any actual moisturizing is happening. Though, they do look good over dry lips and they’re not sticky at all. Being a gloss, these aren’t going to hang on forever in terms of wear time. The slightest touch of anything, be it food or a water bottle, will take this right off. Considering that, I am cautious to wear the more bold shades on their own because I fear smearing and transfer. With the brighter shades, I like topping them over a lip liner so that even if they transfer, my look isn’t compromised. 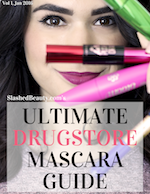 My most used shades are Kiss Kiss and Toasted, which have been awesome for lighter makeup days or just adding a pop of color. Overall, I definitely love about the first half of these shades, whereas the darker ones will definitely be exiled to the drawer of misfit lippies. 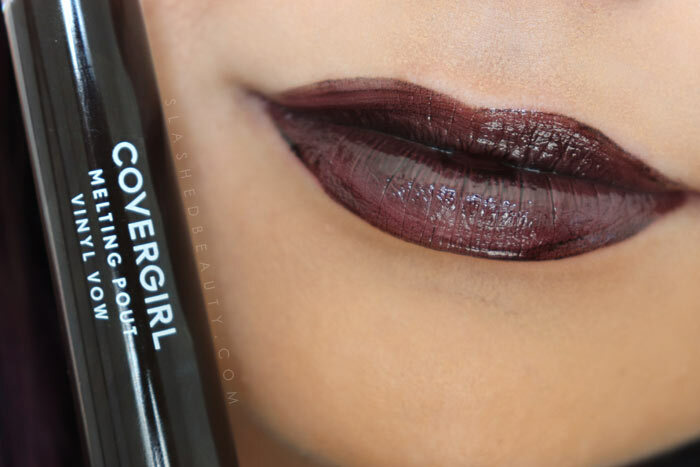 You can find the Covergirl Melting Pout Vinyl Vow glosses on Amazon for about $14. 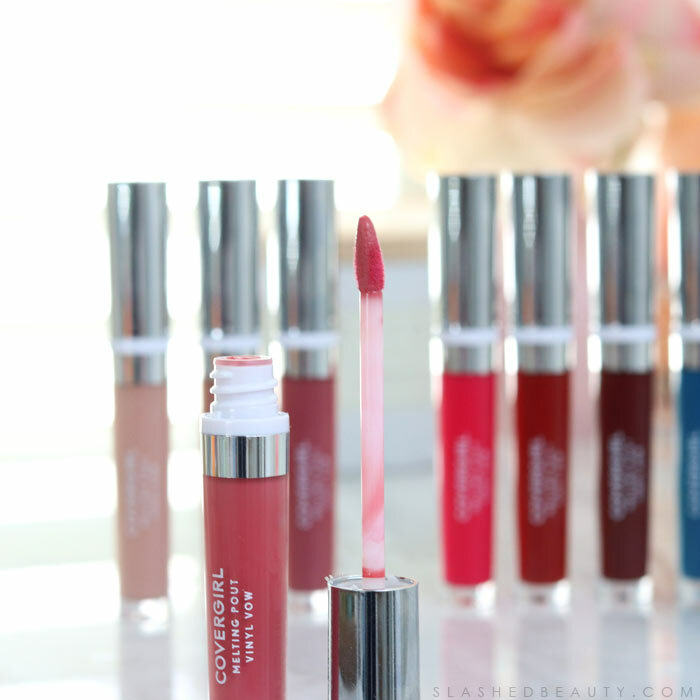 Another great review, I’m a huge fan of lip gloss and love to have at least two in my handbag. I’m definitely want to try Toasted, Own It, and Get into It. I love a good berry wine shade. Thanks for sharing this! Thanks for your comment!! Yes, Toasted is probably my most-worn!! !